Go feast yourself! : Grilled Corn Salsa, GO RAVENS! Grilled Corn Salsa, GO RAVENS! Another February is upon us, which means SUPERBOWL is as well!! Woohoo!! haha I'm not gonna lie, unless the Bears are competing, I normally don't get too caught up in all the hype. I still end up watching it regardless though to see especially the half-time show hehe. With that said, I do like the Baltimore Ravens, so I'm rooting for them this year! Peel back and remove corn husks and silk. 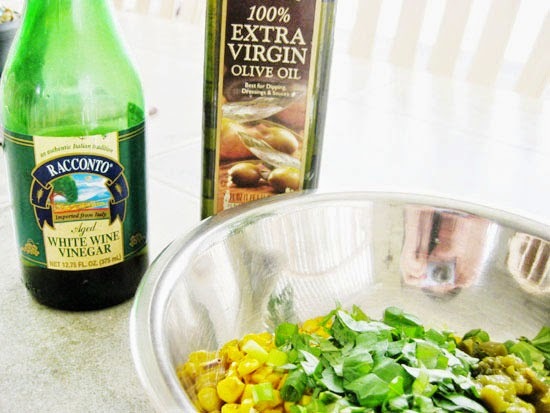 Rub corn with butter/or olive oil. Wrap corn with foil and grill for 10-15 minutes. Let cool. Using the flat top of corn as a base on your chopping board. Run your knife down the sides of the corn releasing the kernels. 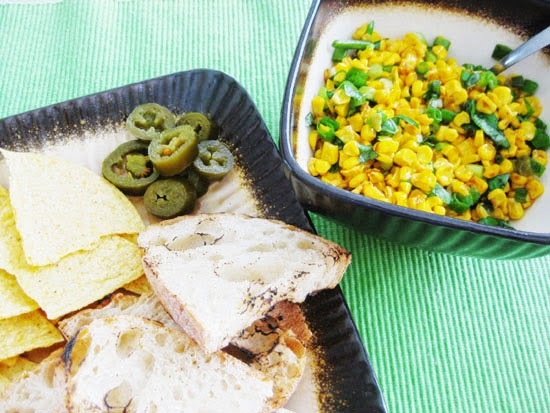 Combine rest of ingredients with corn in a nice serving bowl. Check out some of my other recipes fit for Superbowl XLVII Sunday!